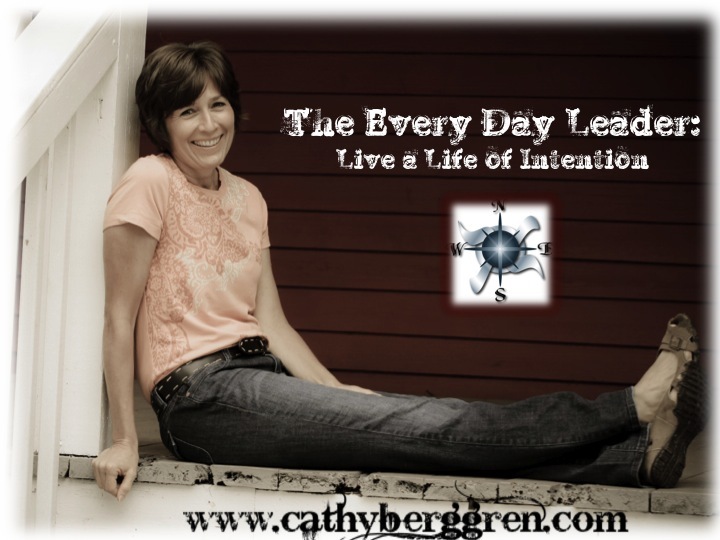 This entry was posted in leadership and tagged Cathy Berggen, Every Day Leader, hours, impact, intentional, minutes, moments, no, time by Cathy Berggren. Bookmark the permalink. Thanks!! You are so right we are on the same page. Thank you for reading the blog. I do like Dan Rockwell’s stuff and we often talk on Twitter. There are so many distractions this day that we have lost sight of what really matters… relationships not the task. I think that they key-words in there Cathy are the ones about being intentional with your time, and knowing where it’s going. Have you ever read The Leadership Freak? One of his posts this week is about knowing when to stop and there’s certainly a synergy between your blogs this week. I’ll send you a link. This is a tough one! I think the danger we all face is forgetting that we have the power to control ourselves. If you are screaming out no, and no one listens is there something that you have the ability to change? It took me a long time to realize I didn’t always have to say yes to whatever was asked of me and that no one else could set my boundaries but me! What’s the solution when you scream NO and no one listens? I would love to connect with you on LinkedIn. Please send me a request. Thank you for your wonderful comments and for visiting the blog. You are so right that when we choose to say no we open the doors for even greater opportunities to say yes. So true. I have gone through a terribly trying part in my life lately, where I have learned to “protect” myself and my time in a certain sense. This also lead me to evaluate and physically list my values – both professionally and personally – and do some reconciling. So, I have learned to “let go” or say no to those things that don’t or aren’t matching up. In turn those “no”s allow room in my life for bigger and better things that are more closely aligned to my values. Thanks for the blog! Cathy, I would love to link up with you on LinkedIn, as well! I am in recovery from the disease “ican’tsaynoitis” — now being in my 50’s I am learning the lesson that when I say yes to everything that I am saying no to myself. I am learning to take care of my self so that I can provide leadership in caring for others. It’s all about choices! Now, when I say yes it is because it is something I truly want to do. Thank you for your comments. 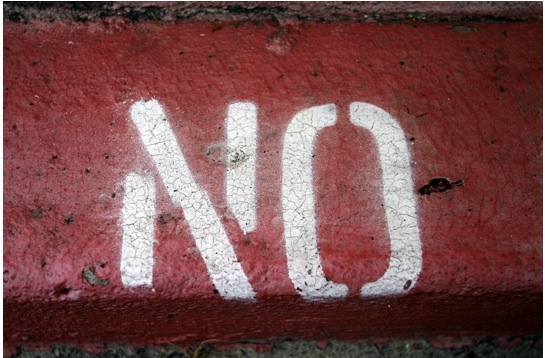 There are many times we are our worst enemy and especially when it comes to saying no. Many managers find delegation hard becasue they are use to doing everything themselves. We as leaders cannot be an island to ourselves we must allow others to use their strenghths and excel with our guidance. When we are intentional to say no we allow opportunities for others where they can say yes and greater opportunities for us. Whom is it you say ‘no ‘ to ? The staffer in need of help ? Your boss ? A potential major donor ? No. The person you say ‘ no ‘ to is yourself. When you are getting involved in operational matters, when you should be leaving it to the person responsible, even when you know you’d do a better job yourself. When you are managing, and you should be leading. When you are enjoying yourself, not prioritising. Etc. You are your worst enemy when it comes to saying ‘ no ‘. I would love to network with you. Are you on LinkedIn, Facebook, and Twitter? I have enclosed all my information below for you. Let’s keep in touch! Thank you for reading the blog and for commenting. Saying no plays a huge part in what we can say yes to and in us as leaders being intentional to also protect our time so we don’t burn out. I facilitate a Nonviolent Communication practice group in Decatur and have a big interest in Mediation and Restorative Justice. Would you like to network? What I love about people saying “No” is to understand what they are saying “yes” to instead. This includes getting that clarity for myself so that I can attend to my needs and not give “more than I can afford” to give. Thank you Salim. I think that we are so programmed to say yes to everything that we often miss out on having the very best by not saying no. So true, we must learn to say no in order to say a better yes, thats so touching!